This week: A literary hotel Alexandre Vialatte, Le Mélézin hotel in Courchevel, Tailor-made tours in Bordeaux, Taos hotel in Tignes, Christmas market in Sweden, nocturnal activities at the Residence hotel Maldives. Each week, PLUME VOYAGE travel News inform you on luxury hotels, boutique hotels and the world of mordern travel. Is this giving you travel cravings? 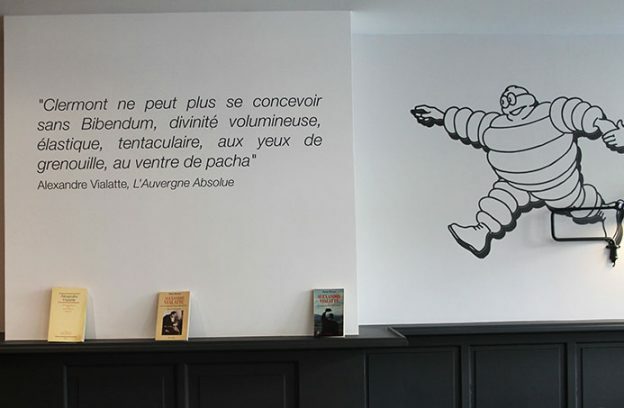 After the Literary Hotel “Le Swann” dedicated to Marcel Proust opened in 2013 in Paris, then the Hotel Littéraire Gustave Flaubert in 2015 in Rouen, here comes the Literary Hotel Alexandre Vialatte in Clermont-Ferrand. This 4-star hotel opened on November 16, which is decorated by the architect Aude Bruguière, assisted by Aleth Prime, has one of the most beautiful panoramas in the region. Located on the Place Delille “a place shaded by plane trees in the very heart of Clermont-Ferrand” (Alexandre Vialatte), at the foot of the historical center of the city and very close to the jewel of the Romanesque art that is the basilica Notre-Dame Of the Port, it is an ideal starting point to discover this city where Vialatte lived several years. In each of the 62 rooms, we find, through the watercolors by Jean Aubertin, a character or a place that tells the poetic universe of Alexandre Vialatte. As for the terrace on the 6th floor, it offers a 180 degree view of the Puys chain and the arrows of the cathedral … Next openings: the Hotel Littéraire Marcel Aymé at the end of 2017 in Paris, in the district of Montmartre and the Blaise Cendrars Littéraire Hotel in 2018 near the Gare de l’Est. 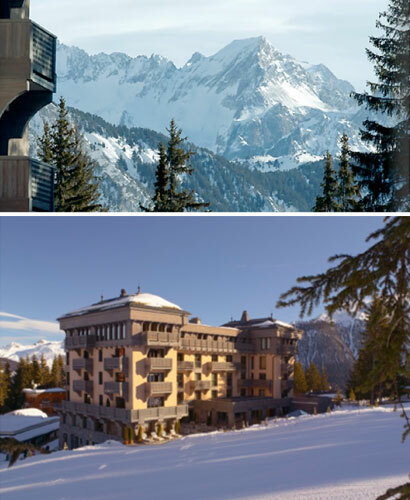 Located at the edge of the Bellecôte ski slope, in Courchevel 1850, Le Mélézin is a unique address in the mountains with a strong history dating back to 1956. Originally built as a manor house and run by the Serane family, Le Mélézin has been welcoming guests and loyal fans of the cozy, personal atmosphere offered by this Aman Resort Group establishment since 1992. Guests welcomed like old friends can enjoy the timeless and comfortable 31 rooms, and a gourmet yet family-friendly cuisine prepared by the resident Breton chef. Spa services are available on site, provided by therapists trained in the famous “Aman resort” method that encourages them to practice meditation in order to also be relaxed themselves before performing the treatment. The pistes are also directly accessible from this “ski-in, ski-out” hotel. And the opportunity to feel special and pampered by the “Clés d’or” concierge is an experience not to be missed. World-class service in a quasi-family home, all because of a chance encounter between the owner of the Aman resorts and the Serane family. Taos, the first boutique hotel of the resort opens its doors in a ski area that extends over 300 km and is connected to Val d’Isère. This 4-stars hotel, member of the Montagnettes group born in Val Thorens in 1992, offers 54 suites, a restaurant, a bar and a spa. It is ideally located in the heart of Espace Killy and at the foot of the slopes. Its ultra cocooning inspired by New Mexico, displays Native American notes as well as the gourmet cuisine of the restaurant Mesa Verda. Result: this is a haven of charm with a warm atmosphere in a spirit full of gaiety. All the suites of this high perched hotel: 2100 meters of altitude open on a dream panorama. Do not forget to spin at the spa to give your back in the expert hands of Nadia. Taos or the art of living in the mountains! The top? The hotel offers a 25% discount on stays of 7 nights for arrivals on 10, 17 and 23 December. It’s time to book a plane ticket to fly to Sweden to explore the Christmas Markets from Stockholm to Gothenburg: from the most design to the most maritime, from the most traditional to the most organic! Before Christmas, Sweden is drunk with spicy scents that warm the atmosphere. The candle of Advent and the bright stars are placed in the windows. Outdoor lights festival also with candles and Christmas markets offering local crafts, culinary specialties and home decorations. 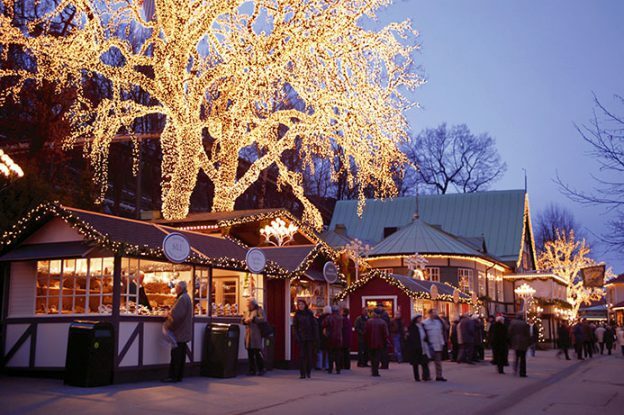 The most spectacular Christmas market is located in Gothenburg, in the Liseberg Park, lit with more than five million lights and open until December 23rd. In Stockholm, a first small traditional market opens in the heart of the old city during the same period. By the end of November, many restaurants serve Christmas buffet, “julbord”, including specialties such as pickled herring, salmon, sausages, meatballs, cooked ham marinated with mustard … in Stockholm, we also enjoy the julbord aboard an ancient craft and discover the wonderful archipelago located just outside the capital. 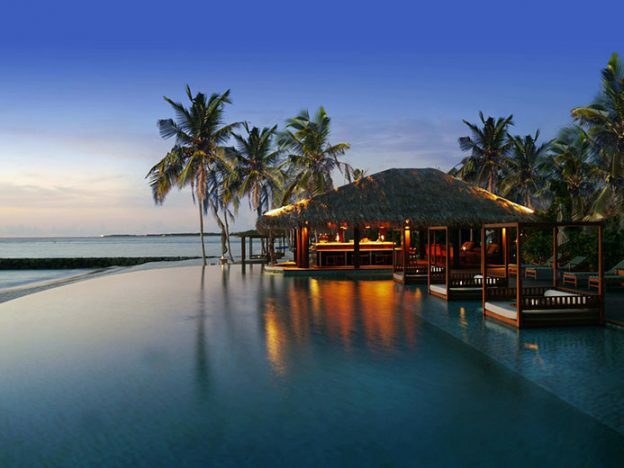 It is now possible to continue activities after nightfall at The Residence Maldives! Called “after dark experiences”, they offer night-time diving, yoga sessions by the full moon, or slide over the ocean in a paddle facing the sunset … A nocturne snorkeling experience makes it possible to discover a lot of things: the marine life awakens, the corals come to life. Moonlight yoga allows participants to enjoy the soothing powers of the moonlight. These courses are available to both beginners and experienced yogis. As for the paddle ride, it is ideal for relaxing and discovering marine life with the phosphorescent plankton that illuminates the water … A. F.-M.